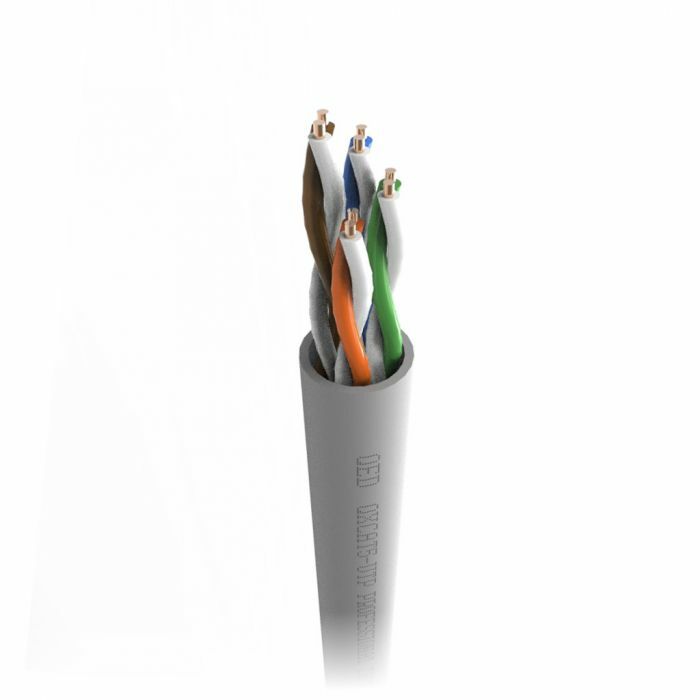 A high quality unscreened Cat5 enhanced data networking cable with the added bonus of a LSZH fire rated jacket. Perfect for Systemline products and any multi-room and data system designed to run on Cat5e cable. LSZH cables are made from a special compound that performs as well as PVC insulation, but crucially gives off very little smoke and no halogen toxins in the event of a fire. Many leading architects and builders along with commercial and marine designers are now specifying LSZH spec cables as standard. Only LSZH cables meet the legislated fire specifications for boat installations. Each complete QED Professional cable design is fully tested to LSZH standards and reports are available on request.